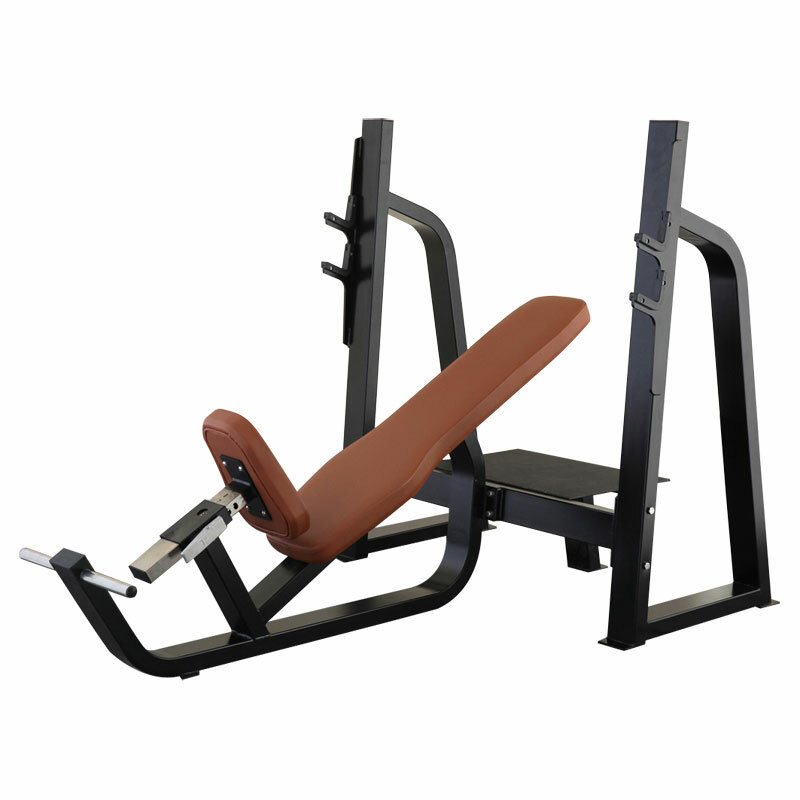 Secure:Low profile bench seat design keeps the spotter on the ground where they have greater stability. 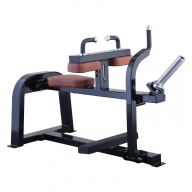 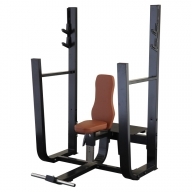 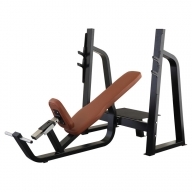 Ergonomically Designed:The bench to angled upright relationship and adjustable, tapered seat accommodate a variety of user sizes in a position that allows for unencumbered lifting while minimizing external shoulder joint rotation. 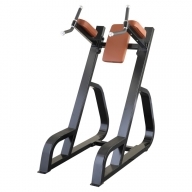 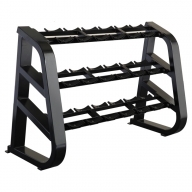 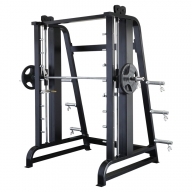 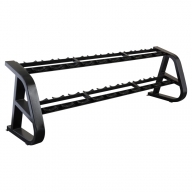 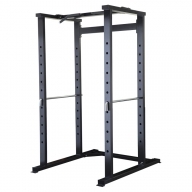 Built In Storage:The conveniently positioned weight storage horns ensure close proximity to desired weight plates. 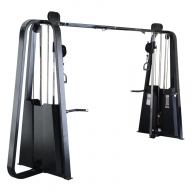 The weight storage horn design accommodates all Olympic and Bumper style plates without overlap, providing quick and easy access.